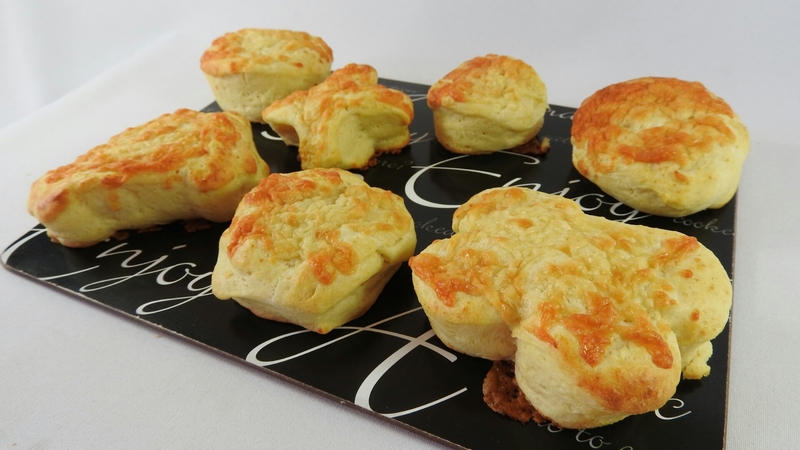 I love cheese scones so have been making them myself, this is a very simple recipe and quick to make. I have done a latest a batch of these each week for the last month or so and really getting them perfect for me. This time I tried different shape cutters instead of the normal round ones. I have loads of different shapes and chosen a cross, van / car, egg, hexagon and what should have been a four leaf clover but ended up looking like a butterfly. Preheat oven 2004, I use a electric mixer as quicker than by hand and I find it easier, sift together the flour, salt, and baking powder. Then add the butter to the bowl or mixer to mix together to make breadcrumbs. Add the grated cheese into the breadcrumb mixture and rub in until the cheese is distributed evenly. Then pour in enough milk to give a fairly soft but firm dough. Pour the milk little by little to get through consistency. Lightly flour a surface and then roll out the dough to approx 2cm thick. Cut out the scones with a cutter and then place on a oven tray, I grease this with butter to stop them sticking. 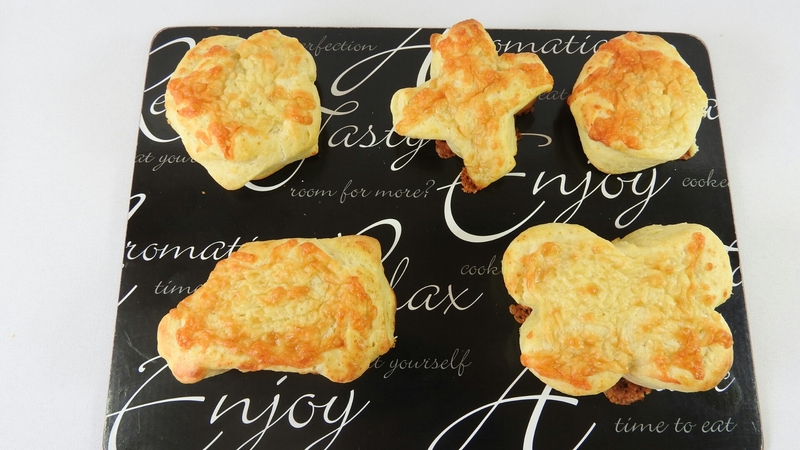 Glaze the tops with the extra milk and sprinkle a little cheese on top of the scones. Bake in the oven for 10-15 minutes or until golden brown and cooked through.